It doesn't take much to make a man happy: a few fingers of whiskey, a tender steak, or a stack of awesomely bad B-list horror movies. Yet, friends and family break their back every year sifting through boring neckties and forgettable trinkets trying in vain to find the perfect gift for their man. 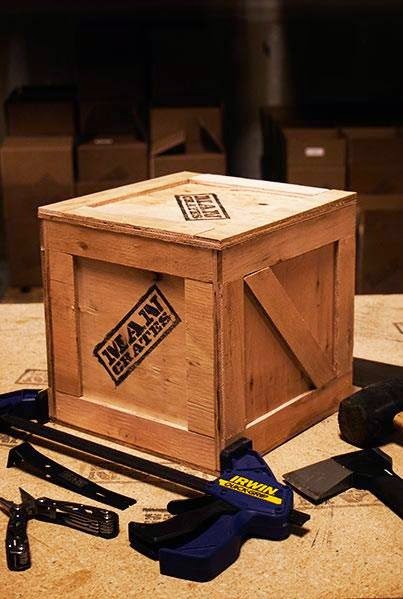 At Man Crates, we’re making that search simple. We ship awesome guy gifts sealed in wooden crates that he’ll have to open with a laser-etched crowbar. Give that gamer in your life a first-class trip down memory lane with the Retro Gamer Crate, packed with all of the retro essentials, from Pop Rocks and Red Vines to an actual Retro-bit NES Console. And all those intellectual debates about the likelihood of a Zombie Apocalypse will be a moot point when the Walkers are scarfing down human fingers and face parts like Chex Mix. Give him the gift he’ll absolutely want but hopefully never need in our Zombie Survival Crates: a zombie-specific survival guide, gear to keep your family safe, and a Spam feast to celebrate your human dominance over the Undead. 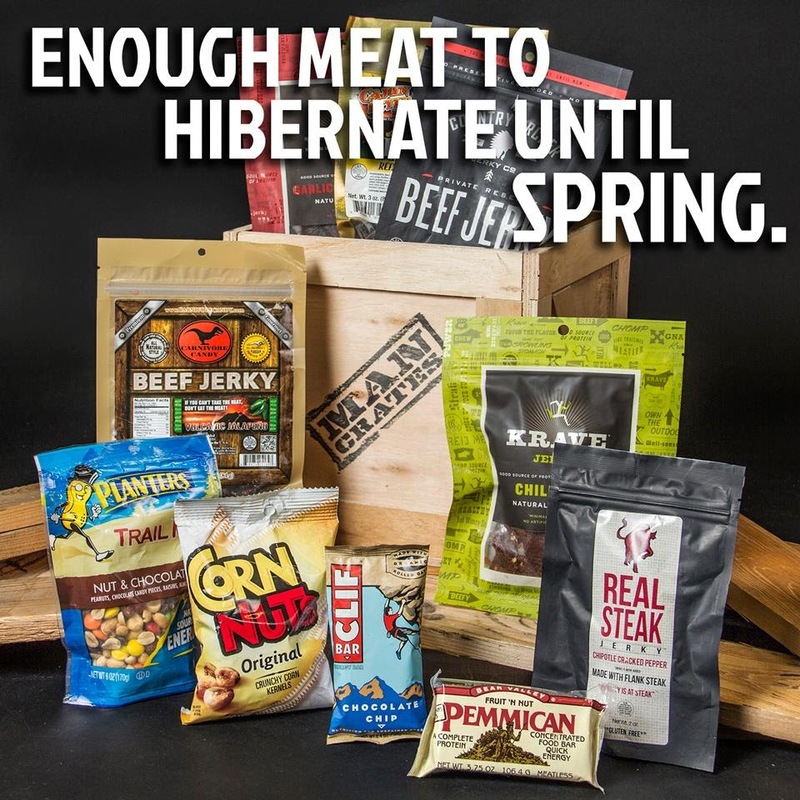 If he’s a snack man... so if he’s a man, he’ll go full drool getting to pop the top off a Premium Jerky Ammo Can: fistfuls of the finest jerky along with other savory morsels stored in an air-tight, waterproof, virtually indestructible ammo can. So next time you find yourself ready to pick up a gift card or a new pack of socks, resist the urge to settle. 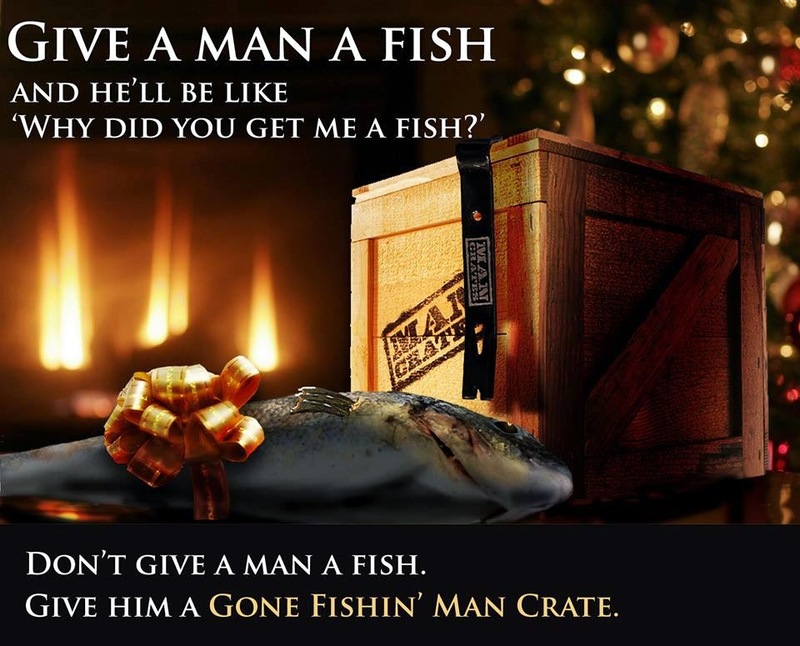 Give him a Man Crate, the awesome gift he’ll never forget.